The following is a guest post by Kostas Chiotis. He is an economist who shares tips on how to save money and manage finances at FinanceBlogZone.com. Connect with him on Facebook and Twitter. Every time we think about home improvements, the first question that comes to mind is, “ Will this save me money”? Your goal might be getting out of debt, or saving money or just keeping your budget in place, but did you know that you can save money while being kind to the planet? I will talk about how we can make our homes energy efficient without hurting the environment. In recent years, many people have become sensitized of the need to conserve the environment and save money at the same time. The perception that eco-friendly homes must be newbuilds is misleading because you can start making small changes to your home with the few bucks that you have. Such improvements can be done with any budget, without breaking the bank. If you want to make a start, here are suggestions to reduce your energy bills and help the planet. Sealing air leaks during winter and summer will help you save some dollars off your energy bill. Check your house for possible drafty doors and windows, that bring in cold or hot air, forcing your air HVAC system to work extra hard to maintain desirable temperatures. Overworking the air conditioners or furnace means that more energy will be used up, putting a strain on your wallet. Test for leakage in draft-prone areas such as window frames, doors, baseboards, pipes and chimney and use weather stripping or caulk to seal them. Investing in roof restoration will save you money in the long run, although the price for the restore services could be high. During the summer, roof restoration will prevent heated air from entering your house, thereby reducing strain on the cooling system. It also helps in keeping the house warm during winter. You can lower the cost of roof restoration by using green roofing products and hiring a local contractor. Replacing your UPVC and metal windows with wood-framed windows will save you money and protect the environment. Wood-framed windows last a lifetime, are more insulating and less polluting than the popular UPVC windows which emit toxic compounds. Also, wood-framed windows are easy to repair. If you use an old air conditioner at home, you are likely to see inflated utility bills during the summer, since these systems have to do extra work to maintain the home temperatures. Ideally, you have to turn off the AC when there is no one at home or lower the temperatures when people are asleep. You can quickly forget such actions. With the programmable thermostat, you can regulate your home’s temperatures depending on the settings you choose for specific times of the day. Plus, it is inexpensive to install, and it will shave off some bucks from your bill. When purchasing new appliances or upgrading your home equipment, check if they have the Energy Star label. The label means that the devices have been certified by Energy Star and meet a high level of energy efficiency. They offer significant energy savings without compromising on the performance. Also, some electricity providers offer incentives for replacing old appliances with the energy star rated models. Solar energy power is a renewable source of energy that is provided naturally from the sun. Although solar panels are expensive to purchase and install, they can result in huge savings in the long term, making your home green. To take advantage of solar power, make sure you locate it in a place where it can collect as much energy as possible. 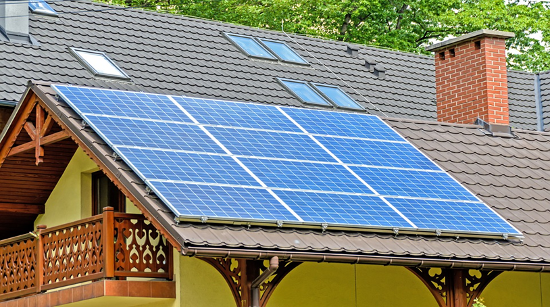 Hire a local contractor to advise you on the best location for the solar panels. Also, you can benefit from tax breaks, grants, and incentives from the government, as they continue to encourage the public to utilize the natural power around us and bring down electricity consumption. If you are in debt, getting advice on how to manage debt and taking advantage of such government grants and incentives is good for your wallet. Did you know that you can use eco-friendly materials when building every part of your home? Using materials such as recycled plastics, recycled glass, reclaimed lumber, bamboo, and cork will help reduce the impact of the construction on the surrounding. They can be used as building materials, roofing materials, floor insulation and sealing air leaks in your home. In addition, insist that your contractor recycles old wood floors, doors, and windows instead of sending them to the landfill. Replacing your old bulbs with compact fluorescent lamps (CFLs) and light emitting diodes (LEDs) will lower your electricity bills over time. CFLs and LEDs have a longer lifespan than the traditional bulbs, even though they are pricey. They are an ideal option for eco-friendly home improvements. Although they may seem cumbersome, heavy curtains or drapes will help conserve energy by trapping warm air inside during cold weather. Also, the curtains will keep the sun’s heat out during the summer, thus reducing an overwork on the air conditioner. This helps to reduce energy bills in the long term. Moving from high flow to low flow faucets and showerheads will contribute to water conservation and cutting down your water bills. Also, you can help the environment by taking a shower rather than a bath that requires a lot of water. Collect rain water by installing a water harvesting system and storing it in a tank. Use the rainwater for household activities such as watering your landscaping and flushing the toilet. Also, using tankless water heaters instead of hot water tanks will help save space and energy, since it heats only water that is passed through the electric coil. The extra space can be used for holding the rain barrels that store rainwater. No matter how limited your budget is, you can make your home energy efficient and save the planet. The best part is, you do not have to make complete upgrades to be eco-friendly. Instead, start making small improvements, and your home will be green. In the course of the year, plan to make small improvements such as replacing your old bulbs with LEDs or CFLs, upgrading your electrical appliances to Energy Star rated models and sealing the air leaks around your window frames and doors. The following is an article from Trent Anderson. It’s especially timely because I’ve spent the last couple of days dealing with a pile of other work. So while this isn’t a typical personal finance article, I think it can be helpful for small business owners. I hope to get together my monthly financial review for tomorrow. If you run a business, you need to have a website that performs well. After all, a website is your global shop window, so you need to make sure it’s designed effectively. There are options such as WordPress available, which you can use to design and host your own website. This limits the amount of cost involved, but is time and effort intensive; if you want to do a good job. It makes sense to search for a web design company or a professional SEO agency, to cater for all of your web design needs. They can handle the creation of your website, and the ongoing hosting and maintenance. But, how much does all of this cost? The costs of creating and maintaining a high end website have risen in recent times. This is due to the use of technology such as responsive web design. You may think that paying an average of around $9000 is a substantial investment, and you would be right. That being said, if you have the budget to invest, it can be worth it. You get a website that is designed for use by users of all devices, including mobile users. Given that more people browse the Internet using a mobile device than using a desktop, you can see why this is a valuable advantage. The fact is that not every business can afford to invest in a high end website. The good news is that website design priced at the lower end of the market has become more affordable. This is partly due to the fact that there are many more web developers and designers out there, and competition has led to price reductions. There are also more free design tools that are accessible online. This means that you should be able to have a good basic website designed for an average of around $2000. You need to remember that basic means just that, and your website is unlikely to be optimized for viewing using a mobile device. It’s not just about the initial cost of setting up a website; it also has to be maintained and hosted on an ongoing basis. The cost of this varies greatly depending on aspects such as the functionality of your website, the type of maintenance and the choice of hosting option. Generally, you can expect to pay anything between $75 and $1000 per month. An effective web site is a vital tool for any business. You need to make sure that your website is designed and maintained to have the optimum potential effect. Obviously, the performance of your website can be affected by the amount of money you pay for it; generally speaking you get what you pay for. There are options available for most budgets though. You should seek professional advice about how to make the most of your budget, to create a website that works for you. Many consumers rely on financial institutions, such as banks and credit unions for a loan. While this is a great option, it may not always be in your best interest. There are many factors that can stand in your way of getting approval for a loan. Of course, you will have the option of making some alterations to meet the requirements, but more often than not, your hands will be tied. Below, you will discover everything you need to know about payday loan without the fuss. One of the biggest advantages of payday loans are they can be acquired without a lengthy credit check. Why do you think most consumers choose to skip the bank and head directly to a payday loan service provider? The answer is nothing more obvious than low credit scores. If your credit history is tainted with past due payments, bankruptcy, debt collections and divorce, you will find it nearly impossible to get approved for a loan. Payday loans are approved without a lengthy credit check. No more embarrassing moments linked to denials, get approved without a credit check and be on your way to the bank to cash your check. If you find yourself in need of fast cash, you should not expect to get it from a financial institution. All banks operate in a unique manner, but their loan processes normally are fairly general. Basically this means that an approval may take anywhere from 48 to 72 hours or longer. If you are established with the bank that you are seeking a loan from, the process may be sped up a bit. However, you should still expect to not receive a response to your loan application for several days. Payday loans are often approved instantly or within the first 24-hours. This is definitely a great benefit for someone that is in need of emergency cash. If your car breaks down or if your child is sick, you are not going to have to waste. In these cases, a loan could be a lifesaving treatment for you little one or missing a couple of days of work. In the past, payday lenders required customers to have an active checking account. Today, this is no longer a requirement. Instead of a checking account, the applicant will need to provide the lender with a personal saving account and verifiable income information. This allows the lender to withdraw the repayment directly from the savings account on a predetermined date. It is important to note that payday loans are only available up to $1,000. While, this is a small sum of money, it can help someone out until they receive their next paycheck. This also speeds up the process, which is worth everything to someone in an emergency crisis. 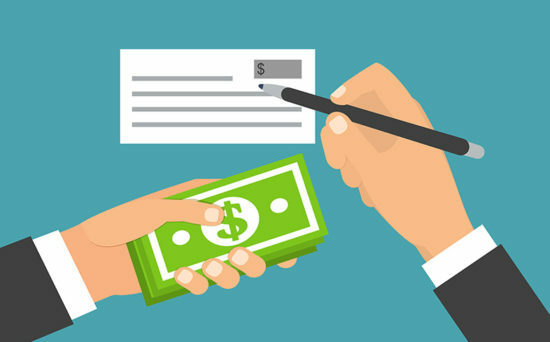 In most cases, when the application is approved, the lender will deposit they money into the customer’s savings account. This is also a plus, because it eliminates the need to take a paper check to the bank to have it cashed.